How many of us have given up on watches since the advent of smartphones (perhaps even before then). Maybe the battery died and you never got around to replacing it, or you found yourself saving your watch for special occasions and it was eventually forgotten about. Smartphones have definitely been revolutionary but there seems to a change in the air. Of course, we’re not abandoning this technology altogether, but more taking back some of freedom, or, in the case of watches our ‘time’. If you’re determined not to let your phone completely take over your life, perhaps now is the time to put that traditional watch back where it belongs – on your wrist. Of course, a humble wrist watch cannot organise your emails, update your social network statuses or tell you the latest news. But would you really want it to? If you’re thinking about getting one of the brand new smart watches, maybe it’s time to take a moment and think it through. A good wrist watch is about quality and beauty – it is something to treasure, rather than something that will need up dating in 12 months’ time. Call it old fashioned, vintage or retro, but we’d choose a wrist watch over a smart watch, or any other gadget, any day of the week. However, if you’re thinking along the lines of a gift for someone special, then give some serious thought to eschewing the latest gadgets and give them something with a bit more permanence. The watch market has moved on so much in recent years and if you look online, you’ll find many specialist watch retailers offering great prices. 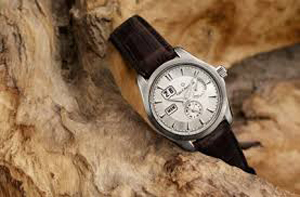 But if you want to go with a trusted name, a well-known department store could point you in the right direction – Debenhams have a fantastic range of beautiful wrist watches and you could get an even better price if use Debenhams voucher codes to get an online saving on that designer timepiece. It’s strange to think that it is considered almost out of the ordinary to give a wrist watch as a gift these days, but you can make this work in your favour because gifting a wrist watch makes that present even more special. So whether you want to buy one for yourself or have an anniversary or birthday on the horizon, make sure you’re on the lookout for the latest wrist watch voucher codes to get the best possible price on your time piece. 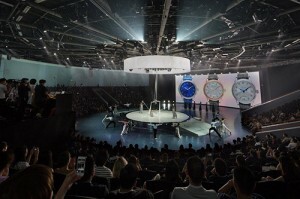 At the end of the summer in Shanghai Children’s Art Theater was a presentation of a new collection of women’s watches, jewelery and writing instruments, under the general title – Montblanc Boheme. 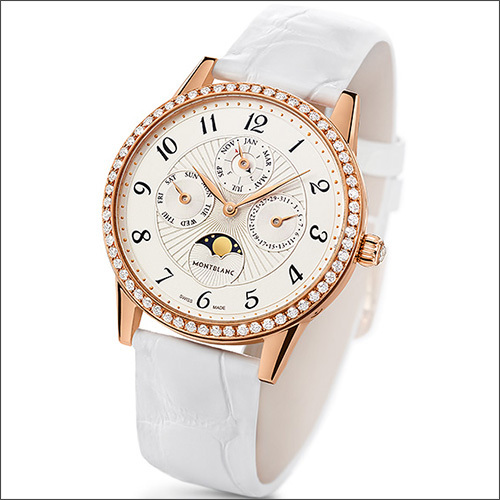 Ladies Watch Boheme combines elegant design, graceful forms and respect for watchmaking tradition. Under their exquisite guilloche dial framed with diamonds bezel pulsing automatic clockwork Montblanc 29.15, which is subject to a permanent plant does not require a correction of reading the calendar until the year 2100. 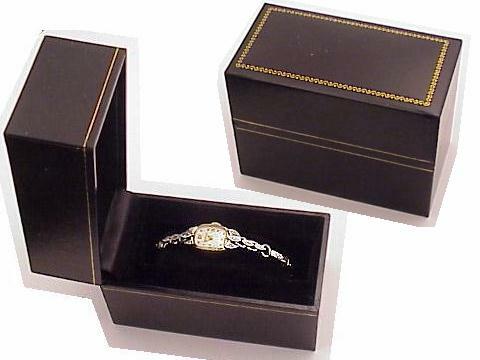 The creation of jewelry artists inspired style watches and writing instruments Boheme. These decorations perfectly complement the image of a confident woman who appreciates originality and accessories perfect style. Writing instruments presented in this collection, in common with other products: for example, guilloche pattern with white painted similar to the patterns on the dial. Clips pens Boheme Bleue decorated with blue sapphires, reminiscent of aristocratic blue arrows hours. All products are intended to be a collection Boheme faithful companions of the modern woman. Want brilliance and color, distinction, summer of fun? Enjoy! 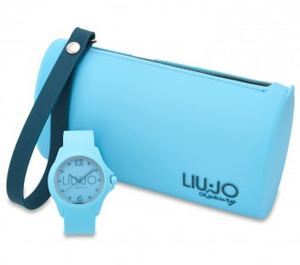 It ‘a warm invitation to have fun, to enjoy life, not to take themselves too seriously and’ just what we suggest a new collection of Liu Jo Luxury Watches , brand born in 2006, which focused all requests Girl (and woman) Modern: Freshness, simplicity, economy and especially color! At Baselworld 2013, the luxury brand Julien Coudray 1518, inspired by the eponymous watchmaker in the Renaissance invented the first portable clock of history, will present a series of Haute Horlogerie timepiece made by a team of experts led by Fabien Lamarche. 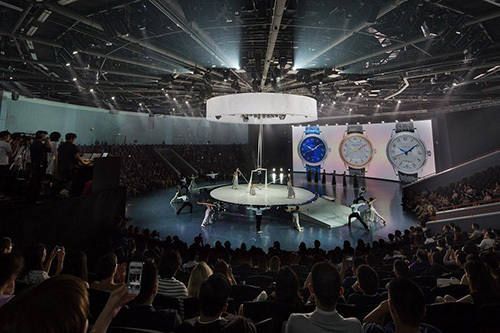 Constructed entirely in-house, from the mechanical movement of manufacturing, the model – such as Competentia 1515 – will be built in a few pieces including some unique. 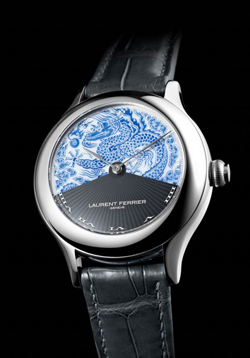 Laurent Ferrier and Meissen Italy together at Baselworld 2013! Meissen porcelain is synonymous with state of the art. Last summer I wrote an article on Senator Meissen Glashutte Original whose marvelous dial was made with the same product. At Baselworld 2013 Laurent Ferrier Maison de Haute Horlogerie in Geneva and Meissen Italy show the first fruits of their newly signed partnership. 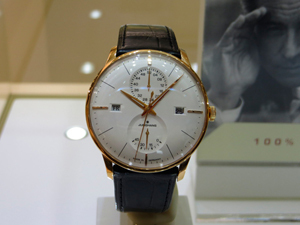 This year, the German watch brand Junghans Meister has expanded its collection of novelty Agenda. Model Agenda presented in a round polished stainless steel or stainless steel with PVD coating of pink gold. Diameter – 40.4 mm. Famous Swiss watch brand Milus at the annual BaselWorld 2013 will present its new Tirion TriRetrograde. 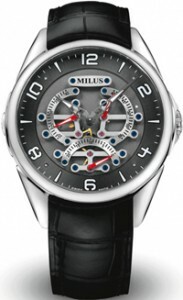 The watch has a round case with a diameter of 42 mm stainless steel. Water Resistant – 30 meters. 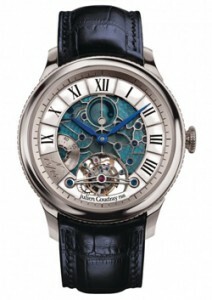 New released in two versions – with a white dial, guilloche style «Clous de Paris», with blue Roman numerals and hour markers, and blued skeletonirovannymi arrows or with multilevel skeletonirovannym anthracite dial with Arabic numerals and hour-markers coated with white luminescent arrows. American fashion-brand is a collection of … expensive watches! 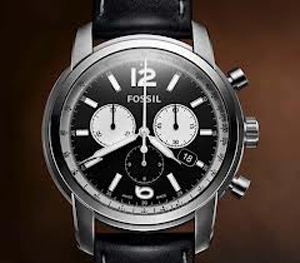 This year Fossil demonstrates that breaking stereotypes is American. Swiss brand introduced two new products: Manero Power Reserve men and Alacria Diva Bamboo for women. In the men’s collection Manero new model Power Reserve. As it’s name suggests, the main feature of hours – the original indication of the range (at around “3:00”). The arrival of autumn has caused the planned changes in the program to promote TIMEX in Russia. Instead of bright and extravagant models Fashion Collection at the forefront watch series Classic, Sport and Outdoor. Fall offensive consumer company Business & Watch – TIMEX Group exclusive distributor in Russia – which began with the mass production of printed products. This is primarily POS-materials for all watch collections.